Home / Biography / And He Said, Praise Me! And He Said, Praise Me! When darkness and despair finds its way to your door, how will you handle it? 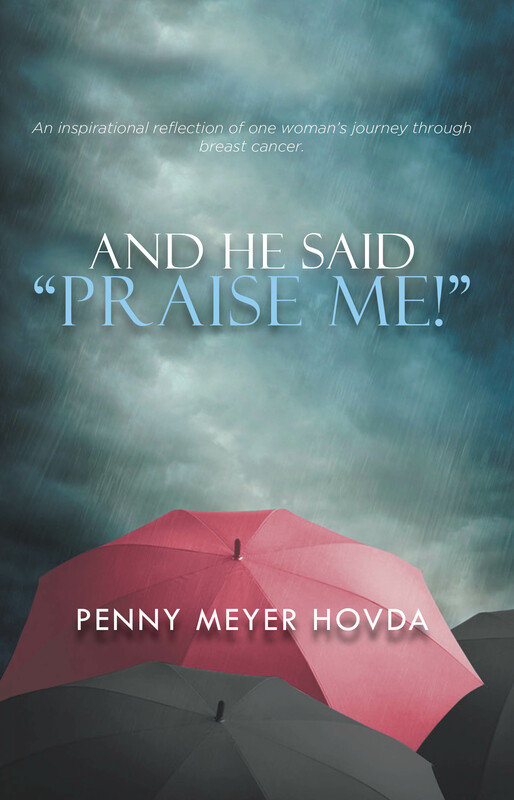 And He Said, “Praise Me” will give you a glimpse of the amazing love and spirit of God as He works to turn a life-threatening experience into a life-saving testimonial. You will see how God can take your tragedy and use it to transform, bless, and refresh your spirit and those around you. See how He blesses those who can give thanks out of their suffering (Hebrews 13:15). Learn how to have an “attitude of gratitude” in the good times and the bad. 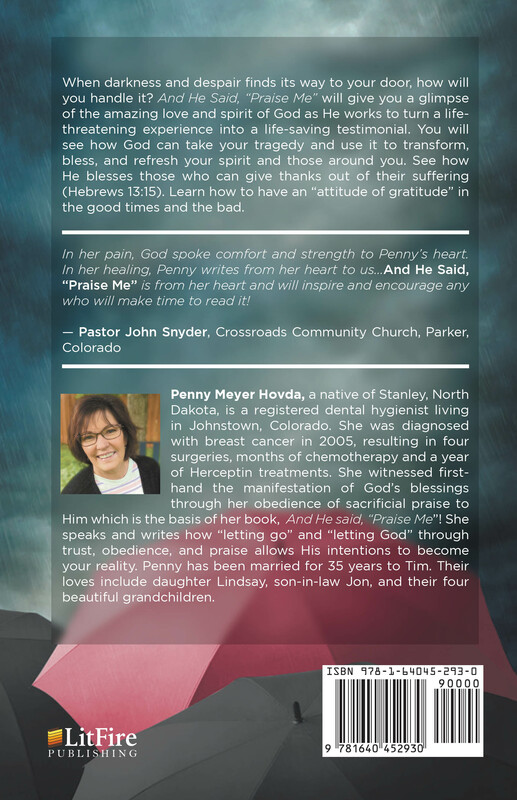 Penny Meyer Hovda, a native of Stanley, North Dakota, is a registered dental hygienist living in Johnstown, Colorado. She was diagnosed with breast cancer in 2005, resulting in four surgeries, months of chemotherapy and a year of Herceptin treatments. She witnessed first-hand the manifestation of God’s blessings through her obedience of sacrificial praise to Him which is the basis of her book, And He said, “Praise Me”! She speaks and writes how “letting go” and “letting God” through trust, obedience, and praise allows His intentions to become your reality. Penny has been married for 35 years to Tim. Their loves include daughter Lindsay, son-in-law Jon, and their four beautiful grandchildren. LitFire is a provider of self-publishing solutions for authors around the world. Choose from a wide range of Black & White and Full-Color publishing packages to turn your manuscript into a beautiful, full-length book. We are committed to delivering high-quality, results-oriented services to produce and distribute your book in paperback, hardcover, or digital format. Subscribe to our monthly newsletter to receive inside news, promotions, and the best of our publishing advice and tips. Copyright © 2019 LitFire Publishing. All Rights Reserved.